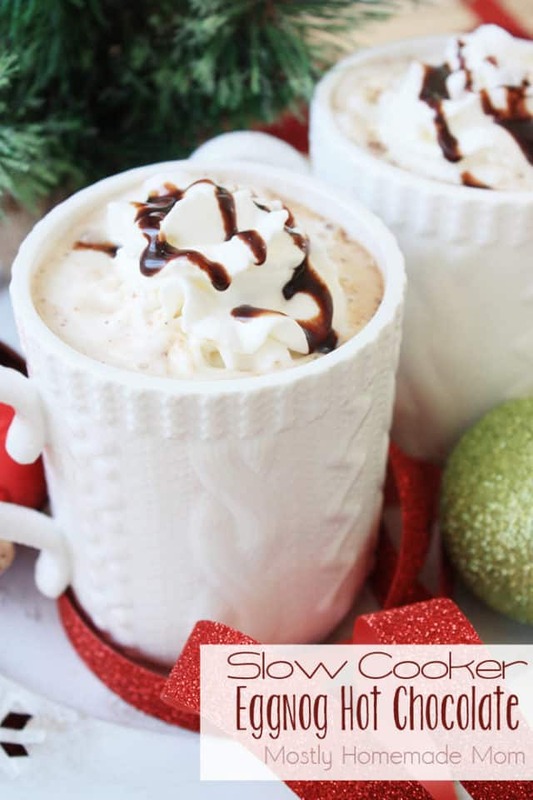 This Slow Cooker Hot Chocolate with Eggnog is super easy and great for Christmas parties! 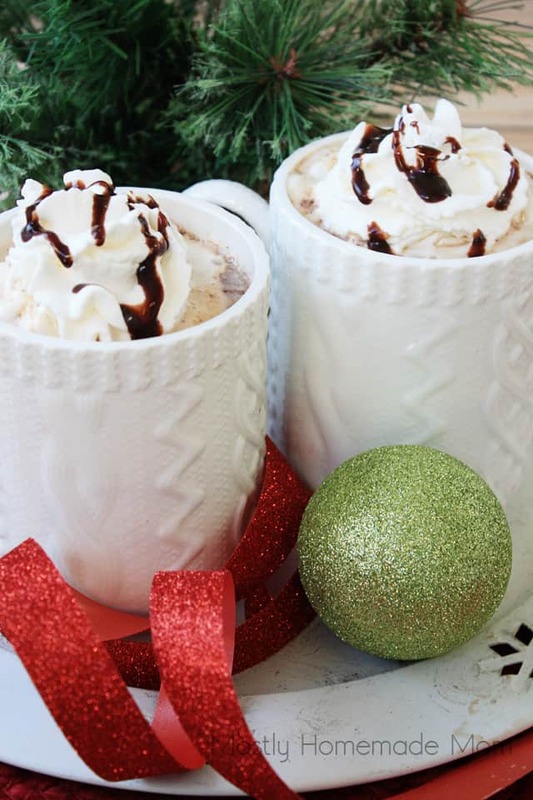 Eggnog, milk, chocolate syrup, vanilla, and nutmeg kept warm and ready for guests! I think eggnog is one of those seasonal flavors that you either love it or you hate it. In this family, we LOVE it! In fact, when I see eggnog flavored things in stores I have to physically restrain myself from buying it and trying it out! Of course, I’m talking about the non-alcoholic kind you find this time of year in the milk and cream section of the grocery store. I’ve never actually had the alcoholic kind – I just love the creamy nutmeg taste. One of my favorite things to spot during the Christmas season is eggnog coffee creamer. It’s absolutely delicious in the morning! 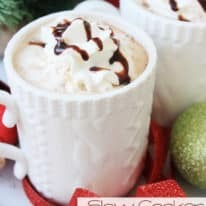 This Slow Cooker Eggnog Hot Chocolate is such a great combination of classic Christmas flavors. 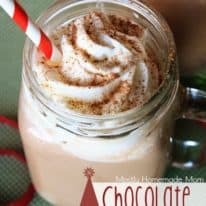 I love to set a pot of hot chocolate in the Crockpot during the weekends for the boys to have a little treat. Combining it with eggnog is truly an extra special treat, though! 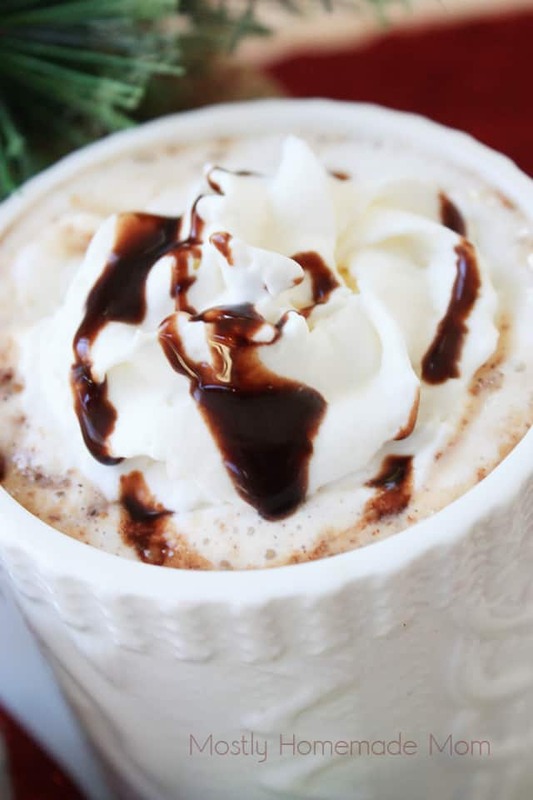 Feel free to top mugs with whipped cream and extra chocolate syrup for an added touch! 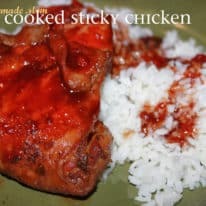 Combine all ingredients besides the garnish in the Crockpot. Stir well to combine. Cover and cook on low for 2 hours. 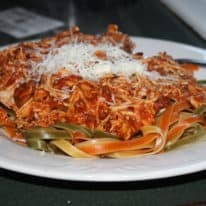 Switch to keep warm and serve out of slow cooker. Top with whipped cream and a drizzle of chocolate syrup. If you’re making this for a Christmas party, you can easily double this in a 6 quart slow cooker. I would set a nice ladle in the pot for guests to serve themselves, as well as whipped cream, chocolate syrup, and sprinkles. How fun! We seriously love eggnog in our house, so this one was a hit.